(TibetanReview.net, Dec29, 2017) – China said Dec 27 that it will amend a part of the country’s constitution and analysts have been cited as saying the purpose may be to further strengthen President Xi Jining’s already enormous power. The Political Bureau (Politburo) of the Communist Party of China (CPC) Central Committee decided Dec 27 to discuss a proposal about amending part of China’s Constitution at the second plenary session of the 19th CPC Central Committee in January, reported the country’s official Xinhua news agency Dec 27. All major decisions concerning China must necessarily come from the absolute ruling party and the National People’s Congress, or Parliament, does not have any real power except to endorse its decisions. The report said party general secretary Xi presided over the Politburo meeting which also listened to a work report from the CPC Central Commission for Discipline Inspection (CCDI) and discussed the Party’s anti-graft work for 2018. While it was not clear what the focus of the amendment to be discussed will be, the report cited a statement issued after the meeting as saying that in order to consolidate the progress of the anti-graft campaign, CCDI will push forward reform of the national supervision system and fight corruption at the lower ranks. Cnn.com Dec 28 cited analysts as predicting that the amendment could clear the way for the creation of a National Supervision Commission (NSC), a country-wide anti-corruption task force with sweeping new powers. It also cited some as speculating that there could also be a move to abolish term-limits on the Presidency, allowing Xi to serve on past 2022. During the 19th National Congress of the Communist Party of China, held in Oct 2017, the party enshrined the “Xi Jinping Thought on Socialism with Chinese Characteristics for a New Era” as a guiding principle, elevating Xi to a level no Chinese leader has held since Mao Zedong. Xi also unveiled a new leadership team which did not include any obvious successor, increasing speculation that he may hold on to power at the end of his second five-year term as President. The party constitution does not specifically limit the term of the party general secretary, the main source of power for China’s top leader. 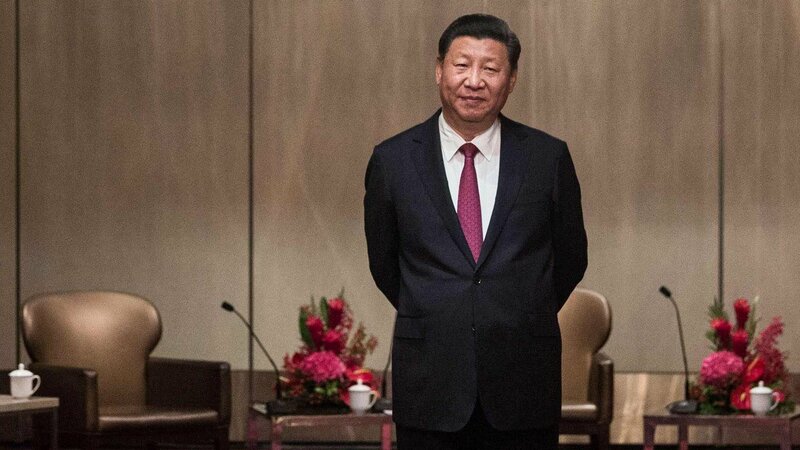 “Xi has shown firm faith and will, clear commitment to the people, extraordinary political wisdom and tactics and a strong sense of responsibility, in leading the CPC and China in the great struggle with many new contemporary features,” the Politburo statement was quoted as saying, following the “meeting of self reflection”. China’s constitution was last amended in 2004.